The farm has 154.7 acres of very good – terraced cropland – with the balance being waterways. The tract has an older tin machine shed. The farm has rural water. 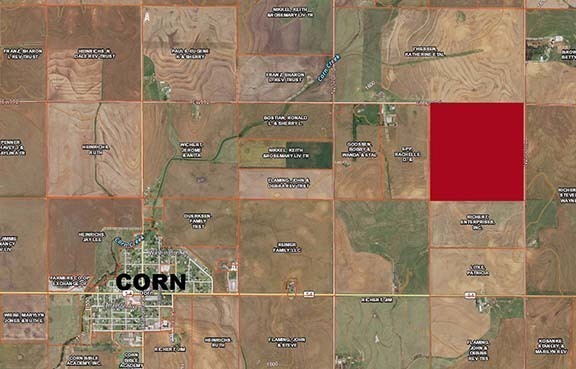 Bases for the farm are: 154.7 acres of Wheat w/a 41 bushel PLC yield. TERMS: 10% of the purchase price due day of sale to be placed in escrow, balance due at closing. 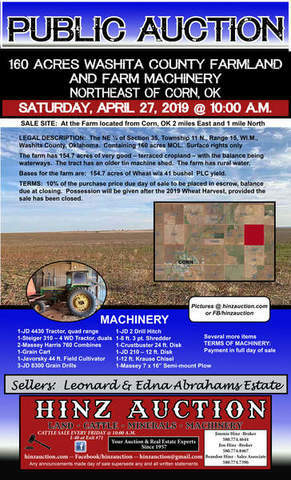 Possession will be given after the 2019 Wheat Harvest, provided the sale has been closed.